A fabulous little grey skirt in cotton twill, knee length. This skirt is new with tags, RRP $55.00. 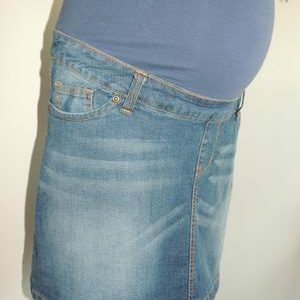 The skirt has a wide belly band style waistband, so comfortable with plenty of stretch. 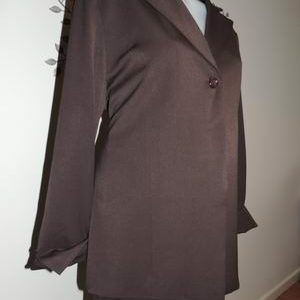 The skirt is a cargo style, with a side pocket with flap and button closing, two back pockets at the rear with the same flap and button closing and flat hip pockets. A great trans seasonal piece, looks great with leggings. 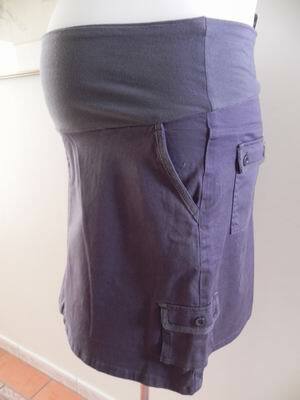 Be the first to review “NEW Ninth Moon Grey Cotton Twill Cargo Maternity Skirt” Click here to cancel reply.